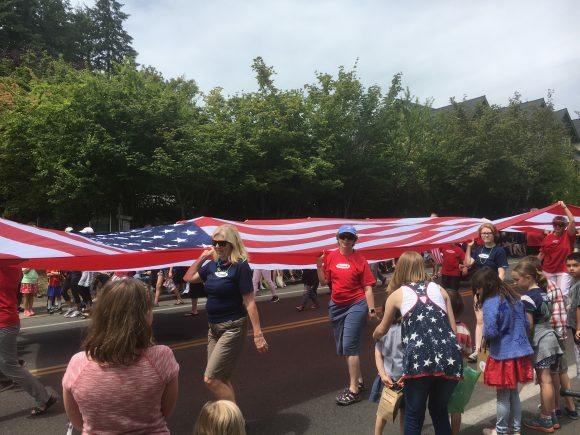 The 2018 Bainbridge Island Good ole’ 4th of July Parade. Summer has come to our island, and with it our only-on-Bainbridge annual celebratory activi- ties. We had an energetic Third of July street dance, a festive Fourth of July parade, and a successful Rotary Auction thatgrossed more than $600,000. When we move our attention to local real estate statistics, everything appears to be equally sunny. Our median price is up 12.5%, home sales over $1,000,000 are up almost 28%, and condominium sales are up 36%! Still, if you talk to the experienced agents, they are detecting a shift. Let’s explore all the reasons why. We talk all the time about buyers’ markets and sellers’ markets. But it’s really the buyers who drive any market. Even in an ascending sellers’ market, buyers and their actions create the excess demand over supply and rising prices.  Inventory, something we’ve lacked for a while, is creeping up.  The number of homes under contract (“pendings”) is down 17.3% from last year and hasn’t bounced back in the firstpart of July. We are also hearing of a cooling in other markets, both to the east and the west. This is not really a cause for concern, as our market is very dynamic and this sort of shift requires adjustments in strategy rather than extreme actions. Good and knowledgeable advice will help both buyers and sellers negotiate the changes and still achieve their (realistic) goals. When one speaks of the dynamism of a market, the statistical chart vividly shows the changes in our market. In the first half of 2012, 48 homes sold in the 0-$400K price range. By 2014, that number was halved to 24 and has plunged all the way to 4 this year. These homes didn’t disappear; they just moved up into another price range. Right now there is only one home for sale for less than $400,000 on Bainbridge. In 2014 (just four short years ago), 78 homes sold for less than $600K, while this year that number is only 19. 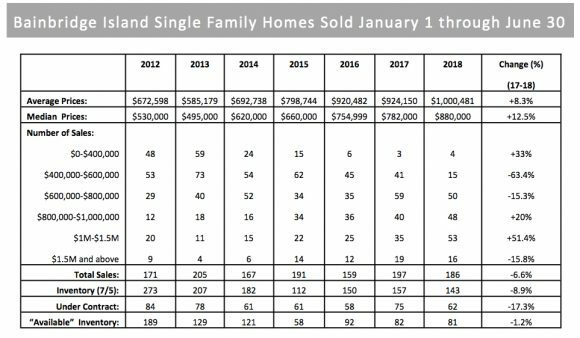 But there’s an important point to make about what’s happening at the other end of the pricing spectrum: In 2014, only 31 homes sold in the $800K-$1.5M range and this year there were 101 sales in the same price range. So even if our market does “stabilize” a bit, we have to acknowledge that it has appreciated dramatically. What about those condominiums? With 62 sales in the first half of this year, you’d have to go back to 2007 to find a more active January-June period. Also, the median was up 13.6% to $468K, matching the all-time median condominium price set in 2007. The condominium market has lagged behind the home market in price recovery from the peaks set in 2007 (the residential median got back to the high set in 2007 by the end of 2015), but the market has shown steady strength in the past year and a half. 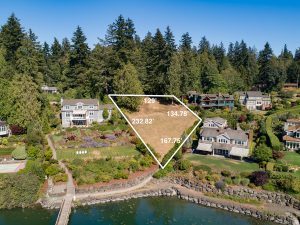 The condo market has benefited by being able to offer resi- dence on Bainbridge for less than it costs to buy many homes. It’s also shown an active upper end as people have down- sized (which has been driven by success in the upper end of the house market). This success has happened in spite of some very low condo inventories. The median price of land sales for the first six months also finally matched this segment’s 2007 peak. (In 2007, the median was $406K and in 2018 it was $400K.) As with condominiums, it has been a long road back to our previ- ous highs, but they have arrived. The volume of 22 sales exceeded 2007’s 18 sales in the first six months, but fell shy of 2015’s peak of 33 sales through June. All in all, we are giving our first six months of 2018 a very high grade. Condominiums and land have had a great half of the year and so have homes. We detect some stabilization and cooling off in the home market, but all of us at Windermere are prepared to employ our strategic know-how to guide both buyers and sellers toward their goals, whatever shifts are taking place. 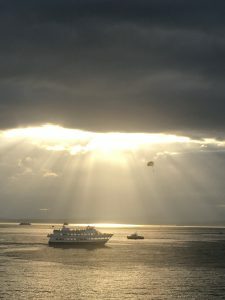 And when you’re not pondering your next real estate adventure, get out there and enjoy the predictably spectacular beauty of a Bainbridge summer.